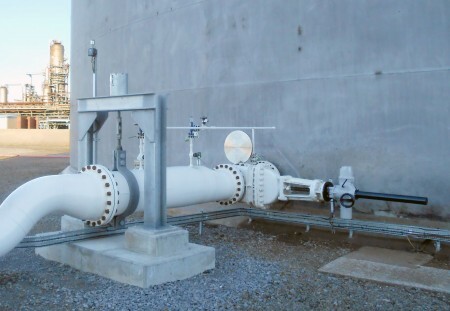 Flow control equipment manufacturer Rotork has announced that its intelligent electric actuators are being used to improve wireless functionality at a liquid storage hub in the UK. The IQ3 multi-turn actuators will be used by Navigator Terminals in two of its road fuel and crude storage tanks in Middlesbrough, according to Rotork. The North Tees site supplies crude to the northeast of the UK, with pipelines connecting to a neighbouring Navigator Terminals facility, known as Seal Sands, on the River Tees. The intelligent electric actuators have been fitted to 24-inch gate valves, which control crude oil flows in the storage tank. They communicate using HART protocol, which has enabled easy integration with the existing Rosemount wireless network at the site. There is also an option to add further wireless compatible actuators to the site in the future.